There may be an energy mega-deal in the works. The Journal’s report made no mention of a price. However, Baker Hughes shares got as high as $US61.78, or 21% after news crossed the wires. 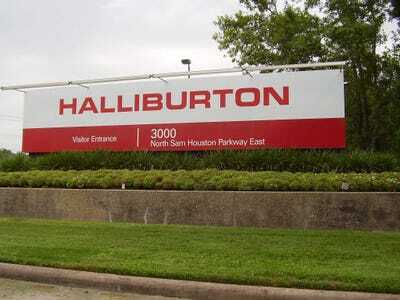 Halliburton is an energy industry behemoth with a market cap of $US48 billion. Baker Hughes carries a market cap of around $US22 billion.